"Ferrari 500" redirects here. For Ferrari 500 TR, see Ferrari Monza. Formula One World Championship Grands Prix only. The Ferrari 500 was a Formula 2 (F2) racing car designed by Aurelio Lampredi and used by Ferrari in 1952 and 1953, when the World Championship was run to F2 regulations. For 1952, the FIA announced that Grand Prix races counting towards the World Championship of Drivers would be run to Formula 2 specification rather than to Formula 1, after the withdrawal of Alfa Romeo from the sport. 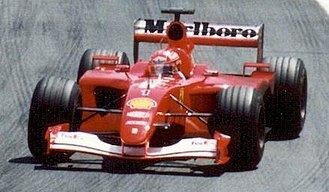 Ferrari were the only team to have a car specifically designed for the new formula. The car was powered by an inline four-cylinder engine which was mounted behind the front axle, improving weight distribution. Alberto Ascari used the car to win his first world championship, winning all but one race with the simple 500. 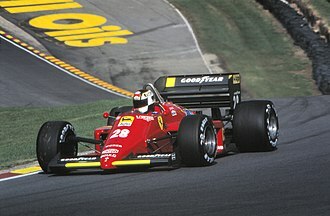 The race he missed was because he was driving the 4.5-litre Ferrari at the Indianapolis 500, however Ferrari won the race he was absent from as well. 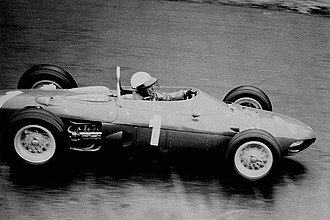 The following season, Ascari won his second world championship, and Ferrari won all but the final race, which was won by Juan Manuel Fangio, back in racing after an accident which had damaged his neck. Ascari won seven consecutive World Championship races in the 500, a record which stood until Sebastian Vettel broke it in 2013. If the 1953 Indianapolis 500 (which was run to a different formula, and in which Ascari was not entered) is discounted, the run is extended to nine. For the 1954 season and the return to Formula One engine regulations, Ferrari 500 chassis were modified for the new regulations with the 2.5-litre 625 engine and would win two more races, one each in 1954 and 1955, although it was not quite fast enough compared to the Mercedes-Benz W196 and Maserati 250F. Despite two new models appearing during this period the 625 was not completely replaced until 1956 when Ferrari began using the D50 chassis Ferrari purchased along with the Lancia Formula One team. 1 – The Constructors' World Championship did not exist before 1958. ^ "Ferrari 500". Stats F1. Retrieved 19 November 2015. ^ Small, Steve (1994). The Guinness Complete Grand Prix Who's Who. Guinness. pp. 37, 135–6, 179, 355, 378 and 388. ISBN 0851127029. The Indianapolis 500 is an automobile race held annually at Indianapolis Motor Speedway in Speedway, Indiana, an enclave suburb of Indianapolis, Indiana. The event is held over Memorial Day weekend, which is typically the last weekend in May and it is contested as part of the Verizon IndyCar Series, the top level of American Championship Car racing, an open-wheel formula colloquially known as Indy Car Racing. The name of the race is often shortened to Indy 500, the event, billed as The Greatest Spectacle in Racing, is considered part of the Triple Crown of Motorsport, which comprises three of the most prestigious motorsports events in the world. The official attendance is not disclosed by Speedway management, but the permanent seating capacity is upwards of 250,000, the inaugural running was won by Ray Harroun in 1911. The race celebrated its 100th anniversary in 2011, and the 100th running was held in 2016, alexander Rossi is the defending champion. The most successful drivers are A. J. Foyt, Al Unser, the active driver with the most victories is Hélio Castroneves, with three. Rick Mears holds the record for most career pole positions with six, the most successful car owner is Roger Penske, owner of Team Penske, which has 16 total wins and 17 poles. For a list of races and winners, see List of Indianapolis 500 winners, the Indianapolis 500 is held annually at the Indianapolis Motor Speedway, a 2.5 mile oval circuit. Drivers race 200 laps, counterclockwise around the circuit, for a distance of 500 miles, since its inception in 1911, the race has always been scheduled on or around Memorial Day. Since 1974, the race has been scheduled for the Sunday of Memorial Day weekend and time trials are held in the two weeks leading up to the race. Traditionally, the field consists of 33 starters, aligned in a grid of eleven rows of three cars apiece. The event is contested by Indy cars, a formula of professional-level, single-seat, open cockpit, open-wheel, as of 2015, all entrants utilize 2.2 L V6, twin-turbocharged engines, tuned to produce a range of 550–700 horsepower. Chevrolet and Honda are the current engine manufacturers involved in the sport, which has a deep history in the sport, dating back to the first 500, is the exclusive tire provider. A de Dion tube is an automobile suspension technology. It is a form of non-independent suspension and is a considerable improvement over the swing axle, Hotchkiss drive. Because it plays no part in transmitting power to the drive wheels, De Dion suspension uses universal joints at both the wheel hubs and differential, and uses a solid tubular beam to hold the opposite wheels in parallel. Unlike an anti-roll bar, a de Dion tube is not directly connected to the chassis nor is it intended to flex, in suspension geometry it is a beam axle suspension. The de Dion tube was named after Comte Jules-Albert de Dion, the tube, was invented around 1894 by co-founder Charles Trépardoux for use on the companys steam tricycles. Advantages, Reduced unsprung weight compared to the Hotchkiss drive, since the differential, unlike most fully independent suspension there are no camber changes on axle loading and unloading. Fixing the camber of both wheels at 0° assists in obtaining good traction from wide tires and tends to reduce wheel hop under high power operations compared to an independent suspension, the choice of shock absorbers and springs is made easier. The two wheels may be aligned, allowing for independent camber and track alignment. Disadvantages, A pair of CV or universal joints is required for each wheel, adding complexity and weight. If coil springs are used, a location link is required, plus additional torque links on each side or a combination of lower trailing links. None of these links are required if leaf springs are used. 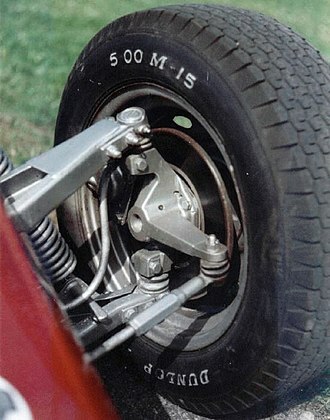 The torque links are not required if the setup uses inboard brakes, like in the Pegaso 1502, Rover P6, sympathetic camber changes on opposite wheels are seen on single-wheel suspension compression, just as in a Hotchkiss drive or live axle. This is not important for operation on improved surfaces but is critical for rough road or off road use. Alfa Romeo is probably the most famous adopter of technology, using it on the Alfa Romeo Alfetta, GT, GTV, GTV6, Alfa 6,90, 75/Milano. 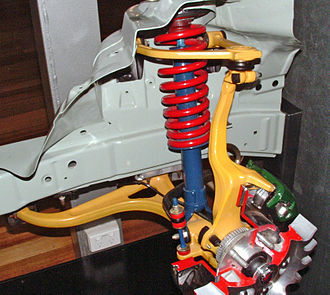 A recent vehicle to use this suspension coupled with leaf springs was the Ford Ranger EV, the American built MV-1 van by VPG uses this suspension in the rear with leaf springs and is just starting production in spring 2010. Dunlop is a brand of tyres owned by various companies around the world. It is owned and operated by Goodyear Tire and Rubber Company in North America, Australia, in India the brand is owned by Dunlop India Ltd. whose parent company is the Ruia Group. In Asia and Latin America by Sumitomo Rubber Industries, in 1985, Dunlop Rubber Company was acquired by BTR plc, and Sumitomo acquired the rights to manufacture and market Dunlop branded road tyres. Sumitomo did not acquire any Dunlop company, in 1997 Sumitomo gained agreement to use the Dunlop name in its corporate name, and changed the name of its UK subsidiary to Dunlop Tyres Ltd. The company has manufacturing operations throughout the world. With the closure of the Washington plant in 2006, Goodyear Dunlop ceased mainstream car, until May 2014 Goodyear Dunlop occupied a compact part of the site with their British main office. In the UK, the company operates as an organisation, importing tyres from manufacturing plants around the world, including China, Slovenia. The Goodyear Dunlop joint venture is managed from sites in Luxembourg and Brussels, fort Dunlop was a motorsport manufacturing operation located in a corner of the original Dunlop factory in Erdington, established in 1891 until May 2014. This factory produced specialised vintage and touring car tyres, on 30 May 2014, the Birmingham factory ceased tyre production, ending Dunlop tyre production in the UK. The main Birmingham building has been redeveloped extensively as a residential and hotel complex, with a modern shopping facility, car dealerships. 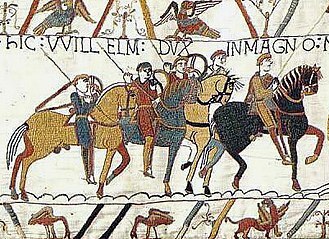 It can be observed between junction 5 and 6 of the M6, on the side of the motorway. Dunlop Tyres is the tyre supplier to the British Touring Car Championship, V8 Supercars Championship. It was the sole supplier for the Deutsche Tourenwagen Masters from 2000-2010. Dunlop supplies tyres to the Japanese Super GTs Nakajima Racing, classes in the FIA World Endurance Championship, the Dunlop GP Racer D209 tyre has been chosen repeatedly as a control tyre for the R&G Racing GSX-R Trophy motorcycle race. The Lancia D50 was a Formula One racing car designed by Vittorio Jano for Lancia in 1954. Six of the cars were built, and two of them are displayed in Italian museums, the D50 made its race debut toward the end of the 1954 Formula One season in the hands of two-time and reigning World Champion, Italian driver Alberto Ascari. 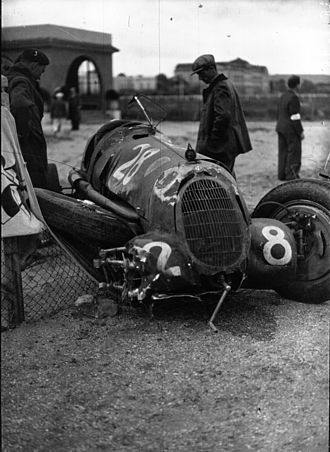 In its very first event Ascari took both pole position in qualifying and fastest race lap, although his cars clutch failed after only ten laps. Following Ascaris death, and in increasing financial trouble, the Lancia family sold their share in the Lancia company. Ferrari continued to develop the car, although they removed many of Janos most innovative designs, juan Manuel Fangio won the 1956 World Championship of Drivers with this car modified by Ferrari. During their competition lifespan D50s were entered into 14 World Championship Formula One Grands Prix, the D50s lived on into the 1957 season, much modified as Ferrari 801s but were largely uncompetitive against the latest generation of Maserati 250Fs. A manual transmission, known as a manual gearbox, stick shift, n-speed manual, standard, MT, or in colloquial U. S. English, a stick, is a type of transmission used in motor vehicle applications. The number of gear ratios is often expressed for automatic transmissions as well. Manual transmissions often feature a clutch and a movable gear stick. 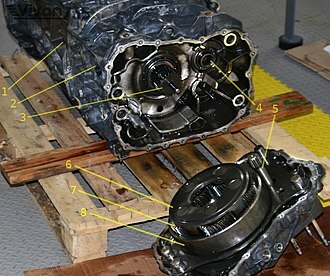 This type of transmission is called a sequential manual transmission. 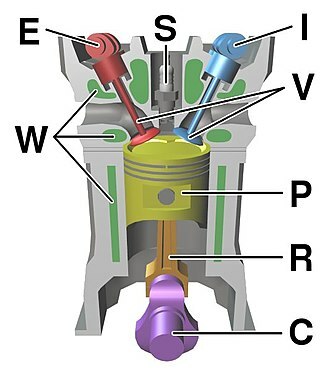 In a manual transmission, the flywheel is attached to the engines crankshaft, the clutch disk is in between the pressure plate and the flywheel, and is held against the flywheel under pressure from the pressure plate. When the engine is running and the clutch is engaged, the flywheel spins the clutch plate, as the clutch pedal is depressed, the throw out bearing is activated, which causes the pressure plate to stop applying pressure to the clutch disk. This makes the clutch plate stop receiving power from the engine, when the clutch pedal is released, the throw out bearing is deactivated, and the clutch disk is again held against the flywheel, allowing it to start receiving power from the engine. Manual transmissions are characterized by gear ratios that are selectable by locking selected gear pairs to the shaft inside the transmission. Conversely, most automatic transmissions feature epicyclic gearing controlled by brake bands and/or clutch packs to select gear ratio, automatic transmissions that allow the driver to manually select the current gear are called manumatics. 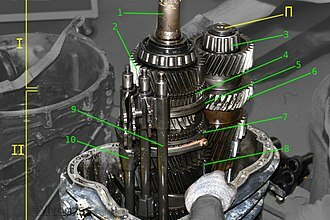 A manual-style transmission operated by computer is called an automated transmission rather than an automatic. Operating aforementioned transmissions often use the pattern of shifter movement with a single or multiple switches to engage the next sequence of gear selection. The earliest form of a transmission is thought to have been invented by Louis-René Panhard. This type of transmission offered multiple gear ratios and, in most cases and these transmissions are called sliding mesh transmissions or sometimes crash boxes, because of the difficulty in changing gears and the loud grinding sound that often accompanied. A Ferrari Monza is one of a series of cars built by Ferrari. Inspired by the success of the light and reliable 2.5 L553 F1 car, one important stylistic difference between most four-cylinder Ferraris is that they lacked the hood scoops common on V12 models. The V12 cars used downdraft carburettors located centrally in the valley of the engine, while the inline-engined fours used side-draft units,1953 was a breakout year for Ferrari, beginning with the new World Sportscar Championship series. The company augmented their traditional V12-powered 250 MM with the new 340 MM and 375 MM, with this profusion of cars, Ferrari was able to sweep the first running of the sportscar championship. The first four-cylinder closed-wheel sports racer from Ferrari was the 625 TF of 1953, resembling the Vignale-designed 250 MM barchetta in most respects, the 625 TF used a 2.5 L straight-4 lifted from the 625 F1 car instead of the 250s 3.0 L V12. It was a car, with the same 2250 mm wheelbase as the 250. The engine produced 220 hp at 7000 rpm and could push the little roadster to over 240 km/h, the lightweight car debuted at the hands of Mike Hawthorn at Monza on June 29,1953. Although it could not keep up on the long straights at that track, a single closed 625 TF coupe, one of the last Ferraris designed and built by Vignale, was created in the Spring of 1953. The same day that the 625 TF debuted, another car was fielded for Alberto Ascari, sporting an enlarged 2.9 L engine, Ascaris 735 S was more capable at Monza, leading the race until he collided with a 250 MM. The 735 S was a barchetta bodied by Carrozzeria Autodromo with recessed headlights, a drooping grille, the 1954 and 1955 seasons were the heyday of the four-cylinder Ferrari sports racer. The company hit its stride, earning the World Sportscar Championship in 1954, the Ferrari sports car lineup at the beginning of 1954 was made up of the 2.0 L500 Mondial and 3.0 L750 Monza. The team replaced the Mondial with the 500 TR that year, the planned V12 sports racer family, including the 250 Monza of 1954 and planned 410 S of 1955, were less notable. The early experiments with Lampredis four-cylinder engine led to the creation of the famed 500 Mondial. 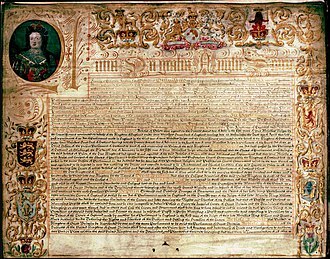 Royal Dutch Shell plc, commonly known as Shell, is a British–Dutch multinational oil and gas company headquartered in the Netherlands and incorporated in the United Kingdom. It is one of the six oil and gas supermajors and the sixth-largest company in the world measured by 2016 revenues. Shell was first in the 2013 Fortune Global 500 list of the worlds largest companies and it has renewable energy activities in the form of biofuels and wind. Shell has operations in over 70 countries, produces around 3.7 million barrels of oil equivalent per day and has 44,000 service stations worldwide, as of 31 December 2014, Shell had total proved reserves of 13.7 billion barrels of oil equivalent. 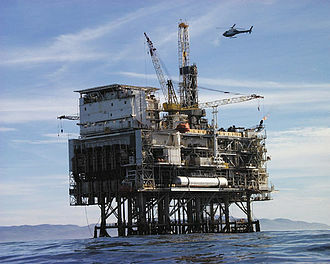 Shell Oil Company, its subsidiary in the United States, is one of its largest businesses. Shell holds 50% of Raízen, a joint venture with Cosan, which is the third-largest Brazil-based energy company by revenues, Shell was formed in 1907 through the amalgamation of the Royal Dutch Petroleum Company of the Netherlands and the Shell Transport and Trading Company of the United Kingdom. Shell first entered the industry in 1929. In 1970 Shell acquired the mining company Billiton, which it sold in 1994. 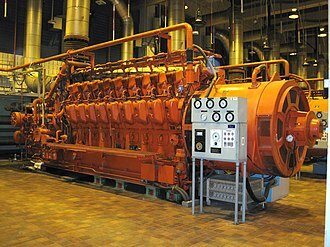 In recent decades gas exploration and production has become an important part of Shells business. Shell acquired BG Group in 2016, making it the worlds largest producer of liquefied natural gas, Shell has a primary listing on the London Stock Exchange and is a constituent of the FTSE100 Index. It has secondary listings on Euronext Amsterdam and the New York Stock Exchange, as of January 2013, Shells largest shareholder was Capital Research Global Investors with 9. 85% ahead of BlackRock in second with 6. 89%. Shells logo, known as the pecten, is one of the most familiar commercial symbols in the world and it was a move largely driven by the need to compete globally with Standard Oil. 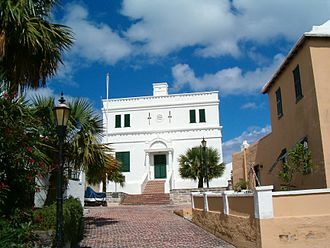 The Shell Transport and Trading Company was a British company, founded in 1897 by Marcus Samuel, 1st Viscount Bearsted, and his brother Samuel Samuel. Their father had owned a company in Houndsditch, London. Alberto Ascari was an Italian racing driver and twice Formula One World Champion. He was a racer who completed in motorcycle racing before switching to cars. Back to back World titles in 1952 and 1953 sandwiched an appearance in the Indianapolis 500 in 1952, Ascari won the legendary Mille Miglia in 1954. When Alberto was a child, his father, who was a racing driver. Alberto once admitted that he warned his children not to become close to him because of the risk involved in his profession. So this proved when he was killed during a test session for Scuderia Ferrari at the Autodromo Nazionale Monza and he was preparing for the Supercortemaggiore 1000 kilometre race that he was to have run with his protégé Eugenio Castellotti on the weekend that followed the accident. The son of one of Italys great pre-war drivers, Alberto Ascari went on to one of Formula One racings most dominant. His unexplained fatal accident – at the age as his fathers, on the same day of the month. Born in Milan, Ascari was the son of Antonio Ascari, such was his passion to become a racing driver like his father, twice he ran away from school. Lancia is an Italian automobile manufacturer founded in 1906 by Vincenzo Lancia as Lancia & C. It became part of the Fiat Group in 1969, the current company, the company has a strong rally heritage and is noted for using letters of the Greek alphabet for its model names. Lancia vehicles are no longer sold outside of Italy, and comprise only the Ypsilon supermini range, fabbrica Automobili was founded on 29 November 1906 in Turin by Fiat racing drivers, Vincenzo Lancia and his friend, Claudio Fogolin. The first car manufactured by Lancia was the Tipo 51 or 12 HP and it had a small four-cylinder engine with a power output of 28 hp. In 1910 Lancia components were exported to the United States where they were assembled, in 1915, Lancia manufactured its first truck, the Jota that continued as a dedicated series. In 1937, Vincenzo died of an attack and both his wife, Adele Miglietti Lancia, and his son, Gianni Lancia, took over control of the company. They persuaded Vittorio Jano to join as an engineer, Jano had already made a name for himself by designing various Alfa Romeo models, including some of its most successful race cars ever such as the 6C, P2 and P3. Lancia is renowned in the world for introducing cars with numerous innovations. These include the Theta of 1913, which was the first European production car to feature a complete system as standard equipment. 1948 saw the first 5 speed gearbox to be fitted to a production car, Lancia premiered the first full-production V6 engine, in the 1950 Aurelia, after earlier industry-leading experiments with V8 and V12 engine configurations. It was the first manufacturer to produce a V4 engine, other innovations involved the use of independent suspension in production cars and rear transaxles, which were first fitted to the Aurelia and Flaminia range. This drive for innovation, constant quest for excellence, fixation of quality, complex construction processes, with little commonality between the various models, the cost of production continued to increase extensively, while demand did not eventually affecting Lancias viability. Gianni Lancia, an engineer was president of Lancia from 1947 to 1955. In 1956 the Pesenti family took control of Lancia with Carlo Pesenti in charge. The Maserati 250F was a racing car made by Maserati of Italy used in 2.5 litre Formula One racing between January 1954 and November 1960. The 250F principally used the SSG220 bhp 2. 5-litre Maserati A6 straight-six engine, ribbed 13.4 drum brakes, wishbone independent front suspension and it was built by Gioacchino Colombo, Vittorio Bellentani and Alberto Massimino, the tubular work was by Valerio Colotti. A streamlined version with bodywork which partially enclosed the wheels was used in the 1956 French Grand Prix, the 250F first raced in the 1954 Argentine Grand Prix where Juan Manuel Fangio won the first of his two victories before he left for the new Mercedes-Benz team. Fangio won the 1954 Drivers World Championship, with points gained with both Maserati and Mercedes-Benz, Stirling Moss raced his own privately owned 250F for the full 1954 season, in 1955 a 5-speed gearbox, SU fuel injection and Dunlop disc brakes were introduced. Jean Behra drove this in a works team which included Luigi Musso. Joe Dawson winning the 1912 Indianapolis 500. Fangio being chased by Alberto Ascari during the 1954 Italian Grand Prix. The Maserati team's 250Fs before the start of the 1957 British Grand Prix. 1957 Maserati 250F Grand Prix (recreation). 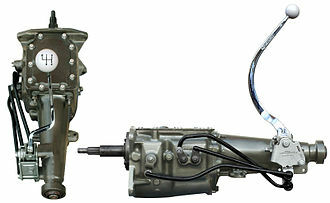 Top and side view of a typical manual transmission, in this case a Ford Toploader, used in vehicles with external floor shifters. Aurelio Lampredi and Gioacchino Colombo.